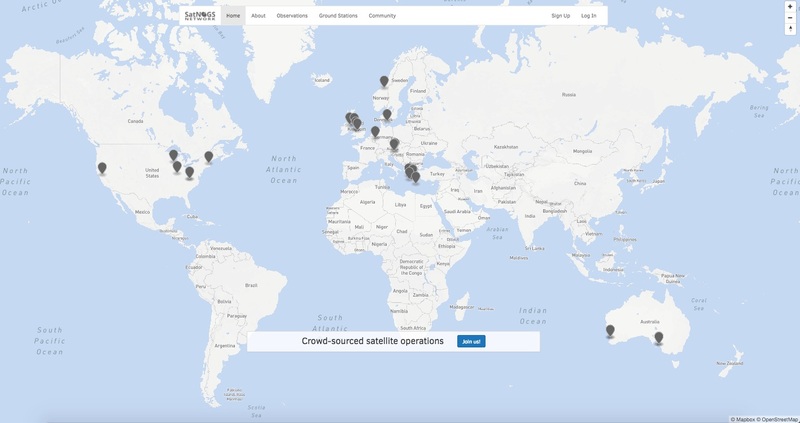 SatNOGS, the Satellite Networked Open Ground Station (mentioned in this answer) appears to be a distribution of independently maintained amateur DIY satellite receiving ground stations, linked by a single network. How is it run? Do members log in via the internet and then reserve a time slot on whichever station they would like to use? I noticed that there are amateur radio callsigns associated with the stations. Does this suggest that uplink capabilities are available in addition to downlink? Yeah,that's the idea.SatNOGS is primarily designed to receive data. In most jurisdictions receiving data is allowed even by non-licensed individuals. But.. having said that, if a station owner needs to send data to a satellite and has the needed hardware to do so (p.e. a radio or a Tx enabled SDR) the provided SatNOGS client software allows to the user open a console and transmit data to their satellite via their own ground-station. Not the answer you're looking for? Browse other questions tagged cubesat radio-communication ground-station public-involvement or ask your own question. How much does it cost to operate a satellite in orbit? What are the benefits of building an amateur satellite ground station? What is the advantage of QPSK over FSK or ASK for satellite data transmission? How does this strangely-shaped horn at Honeysuckle Creek Tracking Station work?